- ERIC CARLE MUSEUM OF PICTURE BOOK ART DEDICATION - Teachers.Net Gazette - STRESS RELIEF, STUDENT MOTIVATION, ORGANIZATION IDEAS, CLASSROOM MANAGEMENT, LESSON PLANS, DISCIPLINE, AND MORE - featuring columns and articles by top names in education and your teacher colleagues around the world! The Teachers.Net Gazette is a clearinghouse for teacher writing, from well-reasoned education essays to teacher prose, poems and humor! Bookmark the Teachers.Net Gazette and tell a friend! A new museum dedicated to exploring the role of visual art in children's literature from around the world will open in Amherst, Massachusetts in November 2002. 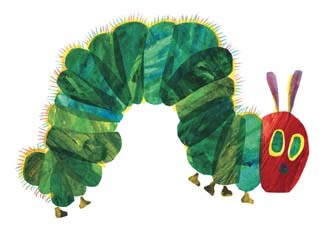 Co-founded by Eric Carle, the renowned author and illustrator of more than 70 books printed in 30 languages, including the 1969 classic The Very Hungry Caterpillar, the Eric Carle Museum of Picture Book Art will present innovative exhibitions and programming that encourage inquiry, foster an appreciation for the visual arts and engage, delight and inspire children and families. Inaugural year exhibitions will feature the work of picture book artists Eric Carle, Maurice Sendak, Nancy Ekholm Burkert, Mitsumasa Anno and Leo Lionni. "I have long dreamt of a museum for children and families, educators and scholars-for everyone interested in the art of the picture book," said Eric Carle, co-founder of the museum. "Our hope is that this museum will be a celebration of creativity, a place for learning and enjoyment, and a salute to picture book art from around the world." The opening ceremonies of the Eric Carle Museum of Picture Book Art will begin on Friday, November 22, 2002 with the official Dedication and Ribbon-Cutting. The festivities will continue on Saturday, November 23 and Sunday, November 24, 2002 with an extended celebration of reading, creating, eating, dancing and singing. Highlights include exhibitions by Eric Carle, Maurice Sendak and Australian picture book artist Robert Ingpen; performances by popular children's musician Dan Zanes; theatrical presentations in the Auditorium; storytelling in the Reading Library; and art activities in the Studio and throughout the building. Situated in an apple orchard adjacent to Hampshire College, the Eric Carle Museum of Picture Book Art joins the culturally vibrant "Five College Area" of Western Massachusetts. The 44,000 square foot museum, designed by the architectural firm Juster, Pope, Frazier LLP, emphasizes the theme of nature in its contemporary, light-filled design and integration with the surrounding environment of the orchard. The Museum houses three galleries, which will feature rotating exhibitions of the work of national and international guest artists and of Eric Carle. An art studio will offer hands-on activities, classes and demonstrations. The 130-seat auditorium will host performances, films and lectures by visiting artists and scholars, and a reading library offers a comfortable setting for reading and storytelling. The Museum will also feature a caf� serving simple and healthy fare, and a museum shop, with picture books, art materials and creative gifts. "Our mission is to assure people that they can't flunk museum-going," commented H. Nichols B. Clark, founding director of the Eric Carle Museum of Picture Book Art. "We look forward to welcoming young or first-time museum-goers, to expand their appreciation of art from other cultures and develop their own process of creative thinking. Every visitor will find something of meaning in the museum and will experience familiar and cherished books in a new way." The Museum has received leadership funding from The Eric and Barbara Carle Foundation and major support from Penguin Putnam Inc., and HarperCollins. The Museum continues to enlist the support of individuals, corporations and foundations to bring the project to fruition and currently counts more than 300 Charter and Founding Members among its ranks of supporters. The Eric Carle Museum of Picture Book Art will present the work of distinguished national and international guest artists as well as exhibitions drawn from 1,200 original works donated to the Museum by Eric Carle, which forms the cornerstone of the institution's permanent collection. Works from the collection will be presented as an ongoing series of thematic exhibitions and surveys of Eric Carle's distinguished career. An in-depth retrospective will launch the series at the opening of the Museum, featuring 60 works from 15 of Eric Carle's best-loved books. In addition to the display of Eric Carle's work, the Museum will feature exhibitions by four guest artists each year. The inaugural guest exhibition will feature the work of Maurice Sendak, renowned author and illustrator of more than 70 books, including the children's classics Where the Wild Things Are and In The Night Kitchen. Maurice Sendak: Inside and Out, on view from November 22, 2002 through January 12, 2003, comprises more than 40 works examining interior scenes and landscapes. Sendak's stylistic development will also be traced through a selection of works by his artistic influences, ranging from Albrecht D�rer to Winslow Homer, illustrating the artistic context for Sendak's work and the inspiration drawn from the works of older masters. The exhibition will also contrast Sendak's set and costume designs for the Houston Opera's 1980 production of The Magic Flute with Eric Carle's strikingly different interpretation of the same opera for the 2001 Springfield Symphony production. 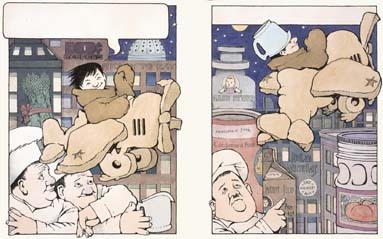 Following the Maurice Sendak exhibition, the Museum will display the work of Nancy Ekholm Burkert, an accomplished American artist who has illustrated several children's books including Roald Dahl's James and the Giant Peach and the 1973 Caldecott Honor Book Snow White and the Seven Dwarfs. Opening in February 2003, the exhibition will demonstrate the parallels between Burkert's picture book art and her works of fine art. 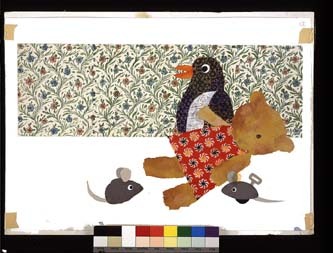 In late April 2003, the Museum will premiere the American tour of the acclaimed Japanese picture book artist Mitsumasa Anno's career retrospective. The exhibition will feature original works from Anno's celebrated works Anno's Alphabet and Anno's Journey, exploring themes of travel and history, as well as innovative ways Anno teaches letters and numbers through his works. The final exhibition of the Museum's inaugural year will feature the work of Dutch-born author and illustrator Leo Lionni, whose career in picture book art began with the 1959 classic Little Blue and Little Yellow, a story that developed from the need to entertain his grandchildren on a train ride and was named one of the ten best illustrated books of the year by The New York Times. The exhibition will include works from Lionni's renowned Caldecott Honor Books Frederick, Swimmy and Alexander and the Wind-Up Mouse, which feature a collage technique and nature themes similar to the works of Eric Carle, as well as pictorial richness, spare texts and gentle humor. Visitors of all ages can experience hands-on programming throughout the year, as well as special events in conjunction with each exhibition. Museum educators will lead workshops exploring the creative techniques and styles on view in the exhibitions, such as Eric Carle's collages or Maurice Sendak's pen and ink drawings, and will develop creative programs based on exhibition themes. The studio will be accessible whenever the Museum is open, so visitors can create their own works of art when inspiration strikes, experiencing the artistic process first-hand. Guest artists may also make a presentation about their work, teach a master class in the studio or conduct a book signing. The Eric Carle Museum of Picture Book Art joins many vital organizations within the Five College Area of Western Massachusetts. A culturally and educationally vibrant region, the Five College Area encompasses the campuses of Smith College, Amherst College, Hampshire College, Mount Holyoke College and the University of Massachusetts. These five local institutions have created a consortium to enrich and expand existing campus programs and promote academic collaboration. Joining the National Yiddish Book Center adjacent to the Hampshire College campus, the Eric Carle Museum of Picture Book Art will enhance the work of the consortium, adding to the unique regional community of museums, galleries and theaters.